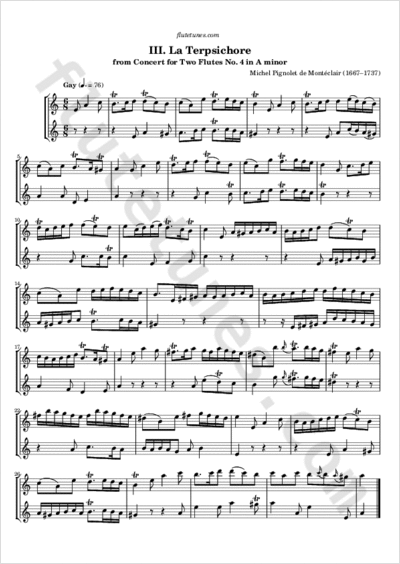 This is the third movement of the fourth of six Concerts à deux Flutes Traversières sans Basse by the French Baroque composer Michel Pignolet de Montéclair. Here the French word concert is a synonym of “suite”, and has nothing to do with the Italian concerto. In Greek mythology, Terpsichore was one of the nine Muses, and goddess of dance and chorus. Thanks to Marco for suggesting this piece!